The cast of the upcoming Pelican Players production of The Curious Savage gather for a photo prior to rehearsal. Seated, from left, are Wendy Smith, Jeanne Nash, Ken Kidd, Donna Fiore and Shirley Walker. Standing are Jack Parry, James Paddock, Carolyn Vaughn, Jim Sapia and Dan Tackitt. Missing is Sue Barnett. The Pelican Players will present The Curious Savage, a classic dramedy by John Patrick March 1 through 3 at the Veterans Theater in Kings Point. The Curious Savage is the story of Mrs. Savage, an elderly woman who inherits $10 million after her husband dies. Married at 16, she devoted her entire life to him and his three children. When she becomes a widow, she realizes she never had a chance to fulfill any dreams of her own, so she decides to set up a memorial fund in her husband’s name to fulfill the dreams of others. To stop her from spending all the money, her adult step-children commit her to a sanitorium. What ensues is a merry chase, where the step-children try everything possible to get their greedy hands on the cash, and her new-found friends in The Cloisters try to help her get rid of them. Open to the public, evening shows on all three dates will be at 7 p.m. and a Saturday matinee will be presented at 1:30. Each includes a 15-minute intermission between two acts. Seating is cabaret-style in tables of eight. Additional bleacher seating will be available. Tickets are $15 per person, whether purchased in advance at the Kings Point Box Office or at the door. The box office, located in the North Club at 1900 Clubhouse Drive, is open 8:30 to 4 p.m. weekdays. Folks living outside Kings Point should drive to the visitors’ gate and inform the guard they’re there to acquire tickets at the box office. Guests are invited to bring their own beverages and snacks. “The audience will relate to the play’s central idea of how some people we meet in life become closer than family,” said Mary Winter, Pelican Players president. 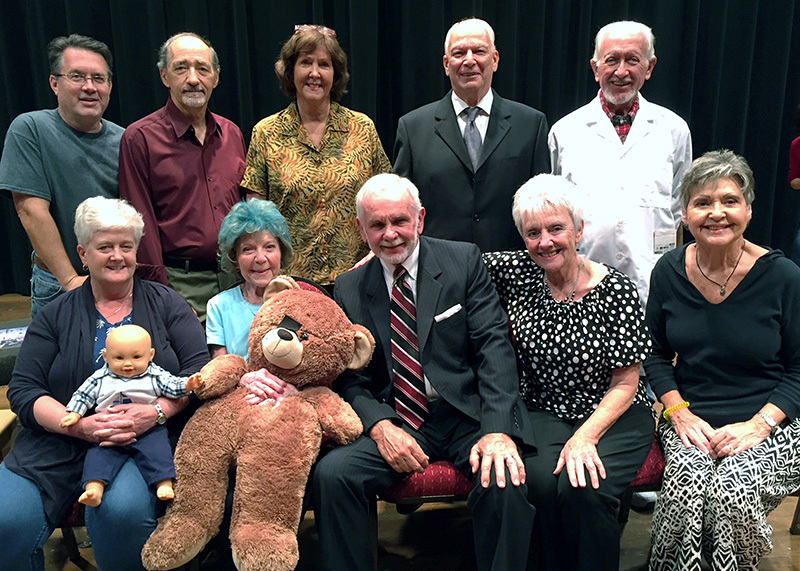 The Pelican Players, a 501(c)3 community theater group, was founded in 1980. Proceeds from its three annual plays, six Readers Theater presentations May through October, for-hire murder mystery dinner theaters and newly returned Cabaret Singers provides scholarships to Hillsborough County students going into the arts. From its inception, more than $500,000 in scholarships have been awarded. From 1980 to 2013, The Pelican Players offered a couple of scholarships a year through its own scholarship fund, but in 2013 it established the Pelican Players Scholarship Fund through the Community Foundation of Tampa Bay, Winter said. In the past three years alone, the Kings Point club has added more than $40,000 to the fund. Scholarships are paid for through interest on the endowment, she said. The club is always looking for folks who are interested in acting, stagehands and others willing to help with set design or costuming. For more information on the Pelican Players, visit www.pelicanplayersscc.org or call Winter at 813-633-7681.